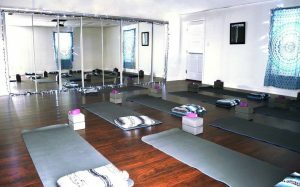 Twisted Sister Yoga Studio is conveniently located in Kernersville, NC. This convenient location allows us to provide Yoga Greensboro, Kernersville, High Point, Winston-Salem, and the surrounding areas. We believe yoga to be an all encompassing body, mind, and spirit practice. In fact, it is a practice that is accessible to anyone, whatever your fitness level or state of mobility, there is a place where you fit in and have the capacity to heal and transform. Health and happiness, above all, is what Twisted Sister Yoga Studio teaches in our practice. Interested in learning more about our classes, events, and studio? In that case, please click here, call us at (336)790-1810, or fill out our contact us form.